The first version of Martinů's The Greek Passion will be premiered in Bregenz, Austria this summer. Performances are scheduled for July 20, 25, 29 and August 1 and 5. A conference on Martinů's operas (July 26-27) will also be included in the series. The following preface was graciously submitted by Aleš Březina (Martinů Study Center - Prague) to whom we are greatly indebted for reconstructing the first version and bringing it to performance. Mr. Březina wishes to dedicate this article to the memory of Martinů's advocate, Paul Sacher, who died on May 26, 1999. On September 17, 1955 Bohuslav Martinů (b. 1890, Polička, Bohemia; d. 1959, Liestal, Switzerland) wrote to his friend and patron Paul Sacher: "Please get your typewriter ready. I would like to write down the libretto of my new opera." Some time later, the composer asked Sacher to provide him with the scores of operas by Monteverdi and Purcell. (The postcard is not dated, but according to his remark, Sacher received it on August 3, 1956. The titles of operas that Sacher provided Martinů were added in another hand -- "Monteverdi: Orfeo, Poppea, Purcell: Fairy Queen." Thus, Martinů, at this time already an internationally recognized composer and author of almost 400 works, announced his fifteenth opera. After a long search, he had, indeed, found the desired tragic subject in Nikos Kazantzakis's novel Christ Recrucified. (1934), Plays about Mary (1935), commedia dell'arte Theatre beyond the Gate (1937), Comedy on the Bridge, The Marriage, What Men Live By. In the years 1953-54, I completed the comedy La Locandiera. I now feel ready for another step, which is most difficult and responsible, and that is a musical tragedy. I have found a text such as I have been seeking for years. It is a contemporary theme about a tragedy in a little Greek town. I had the pleasure and honour of meeting Mr. Kazantzakis in the south of France and we worked for a whole year on the adaptation of this tremendous novel, full of action, into the form of an opera. There have been many changes, but the libretto is now definitive. confirmed. This is the case with Mr. Kazantzakis's novel and that is why I have chosen it as the text of a tragic opera. feeling of this eternal human tragedy. the desperate battle between the refugees and villagers and the tragic death of Manolios the shepherd - Christ. returns to what he must do, good or evil. The tremendous forces seething underground explode, sweeping everything away in a destructive eruption. It is immediately apparent that the novel's subject - the fate of the refugees in an indifferent and egotistical society - meant much more to Martinů than merely a proper text for his music. Since February 1948, he too had been homeless, caught between the two fronts of the Cold War. In the era of Senator McCarthy in the United States, the Czech composer was considered suspect because of his origin, and in communist Czechoslovakia, the U.S. citizen Martinů was considered a "renegade," "traitor" and "servant of the reaction." In a letter to Sacher dated July 4, 1957, the composer himself was most outspoken on this subject, describing on two pages his desperate search for asylum. In a letter dated November 3, 1955, Martinů was finally able to inform his friend and biographer, Miloš Šafránek, that he had "definitively completed" the libretto for The Greek Passion. Shortly thereafter, he forwarded the libretto for evaluation to Nikos Kazantzakis, whom he had met personally in the meantime. Kazantzakis, normally very critical, answered on November 29 with the following words: "[...] I've read your libretto with great attention, it is very clear and moderate. I do not need to modify anything. You yourself know best what can be useful for your music, and in an opera, the music comes first." Compressing the five-hundred-page novel was a major problem for the composer, a fact he referred to again and again in his correspondence. On August 21, 1956 he wrote Šafránek: "The work is progressing very slowly and is very difficult, as the opera is full of excellent sentences, and for this reason the text requires more consideration than a normal opera." In another letter to Šafránek dated August 8, 1957, Martinů was even more specific: "I am working on the opera, but it is a difficult task, there are so many dialogues in it and only a few of them can be deleted if the libretto is also to remain clear for idiots, and this takes away much of the music." It is crucial to underline here that Martinů reflects upon and substantiates his deliberate choice. Although the music is very important to him, he must take the nature of the text into account. Even on April 17, 1957, immediately before completing the first version, he wrote to Šafránek: "Working on the libretto was the most difficult [...] with such comprehensive material [...]." One month later, however, he admitted: "Yet, these are difficulties to be found with each modern opera whose basis is conversation more than anything else." On June 15, 1957 he could finally inform Šafránek: "The Greek Passion is definitively complete and now I wait only for its performance." the publication of the opera.) Through the efforts of Herbert von Karajan, interest was generated at La Scala in Milan, the Staatsoper in Vienna and the Salzburg Music Festival. The same was true for Covent Garden, under music director Rafael Kubelík. (The interest of the Zürich Opera, which in the end premiered the second version, was facilitated by such individuals as Paul Sacher, Hans Erismann, and Maria Stader.) In a letter to Paul Sacher dated February 17, 1957, Martinů mentioned some of these possibilities for the work's premiere: "There is a great interest in my opera from Karajan and also at La Scala and in London from Kubelík." Of these, Rafael Kubelík obviously had the most concrete plans. As far as we know today, the first written reference to The Greek Passion appeared at Covent Garden in an inter-departmental memo dated May 9, 1957. Therein Kubelík wrote to Lord Harewood, board member and director of the Royal Opera House, Covent Garden: "I had lunch with Maurice Johnstone [head of music programs at the BBC since 1953] yesterday, when we discussed the Martinů opera. He seemed very interested in it and spoke of the possibility of the BBC broadcasting it from a stage performance here, in which case they would come to an arrangement with Covent Garden for sharing the cost of giving this opera its world premiere. [...] My idea would be to perform this opera during the festival of July 1958." Fortunately, minutes of the board as well as of the subcommittee meetings at Covent Garden were drawn up, allowing insight into the discussions regarding The Greek Passion. For June 12, 1957 these records read: "Mr. Kubelík reported that Martinů had written a new opera, based on the novel The Greek Passion. He had seen the score, and it seemed to him to be a fine score on a big, tragic theme. It would not be too difficult for singers; there was much choral work in the opera; there were seven scenes, but this could be staged without excessive elaboration. The Royal Opera House had the opportunity of giving the world premiere of this opera." The general reaction to Kubelík's proposal was positive. "It was pointed out that it would be ideal for all concerned if the first performance of this new opera could be conducted by Mr. Kubelík, which was in itself a reason for wishing to produce the opera for the first time at Covent Garden. The production would come on in autumn 1958; it did not appear that there were any other new operas likely to compete with this, which would bring great reclame for the theatre. After discussion the subcommittee agreed to recommend to the board that negotiations should continue with a view to securing the world premiere of Martinů's new opera for the Royal Opera House." Yet hardly three months after this promising start, on August 2, 1957, Martinů writes to Šafránek: "[...] It did not work out with the Covent Garden Opera House, we could not come to an agreement, and, therefore, The Greek Passion will probably be performed for the first time at a festival in Zürich in June." What were the reasons for the sudden change in Covent Garden's plans? The answer to this can likewise be found in the Covent Garden archives. On June 18, 1957, six days after the above-mentioned meeting, the idea for a premiere was still viewed quite positively. "Mr. Webster [general administrator of the Royal Opera House, Covent Garden from 1945 to 1970] said that if the board accepted the subcommittee's recommendation, the first performance of the new opera by Martinů would open the 1958/59 season." But further on one reads: "Sir Arthur Bliss [composer, member of the board of the Royal Opera House, Covent Garden] suggested that it would make for good relationships with the musical world if the score were seen by one or two competent musicians before the announcement was made." Following this suggestion, the Board decided that two experts - Mr. Sackville-West and Endric Cundell - should evaluate the opera. Yet three expert opinions, not two, are kept in the archives of the Royal Opera House. In addition to Cundell, John Denison and Professor Anthony Lewis commented on Martinů's opera. Mr. Sackville-West did not give his opinion for reasons which I have not yet been able to determine. Of the three, Professor Lewis was the one who expressed himself most distinctly. The musicologist, organizer, conductor, and occasional composer (a pupil of Nadia Boulanger, among others) found in the opera both lyric passages and distinct musical characterizations of the persons omitted from the libretto. Following a few rather reluctantly admitted qualities, always accompanied by partly absurd criticism (e.g., that the English audience would not understand the details in the religious hierarchy of a Greek province [a factor completely irrelevant to the plot]), Lewis concludes his review with the following words: "Naturally, in considering this work for future production at Covent Garden, the views of the musical director [Kubelík] will weigh most heavily and so also will the fact of his close relationship with the composer. Having regard to the existing financial stringency and the limited opportunities for new productions at Covent Garden, one wonders whether priority should not be given to other Czech operas of more interesting and proved value, which have not yet been heard in London, such as Smetana's Dalibor and Janáček's Cunning Little Vixen. There is also a need to ensure that the claims of unperformed operas by contemporary English composers are included." The conductor Endric Cundell found the libretto of little interest and the music "rather improvised and not memorable." The seemingly weak passages would have to be covered by a skillful production. The fact that Cundell, after such criticism, nevertheless expressed an entirely incomprehensible and scarcely credible "Yes" to the production of The Greek Passion at Covent Garden, may be connected with the fact that Kubelík supported the idea. And finally, there was John Denison, horn player, organizer, and musical director of the Art Councils as of 1948. While considering the libretto to be weak, he found the choruses to be of good quality. Owing to the subject, the opera could be of some interest to the general public; however, it would hardly be able to interest the exclusive and intellectual audience of Covent Garden. If there were nothing better available at the moment, Covent Garden may perform it, but a world premiere would not be desirable. It is also not surprising to find the following diplomatic phrasing in the subcommittee's report of July 10, 1957: "After considering further reports on Martinů's new opera, which had been discussed at the previous meeting of the subcommittee, the subcommittee decided that it did not wish to press upon the board the suggestion that the world premiere of this opera should be secured for the Royal Opera House." This point of view was submitted by the subcommittee to the board, as apparent from the minutes of Covent Garden's board meeting dated July 16, 1957. Kubelík's reaction can also be found in this report: "Mr. Kubelík said that he thought the criticisms of the Martinů opera which had been placed before the subcommittee were very fair. He himself still believed in the opera, however, and thought its apparent defects were a possible source of strength since they offered new methods of overcoming well-known problems." It is a pity that the report says nothing about the immediate reaction of the board members to Kubelík's statement, which differs fundamentally from the opinions of the three experts. Instead, only the following laconic remark appears: "The board: Accepted the subcommittee's view that Covent Garden should not attempt to secure the world premiere of the new Martinů opera, but should consider producing it at some time later." Martinů's reaction to the bad news from London has already been mentioned. From the letter addressed to Šafránek, dated August 2, 1959, it is quite obvious that he did not intend to make any changes. As with Kubelík, he was convinced that his solution was right and of consequence. Only later did he concede to pressure from the outside. It then took him an additional two years to complete the second version (The "Zürich" version) of The Greek Passion. The libretto was adapted by the composer himself on the basis of an English-language translation of Nikos Kazantzakis's novel Christ Recrucified by Jonathan Griffin. The main problem was condensing the extensive novel into a libretto for a two-hour opera. This also required a reduction in the number of characters and a considerable omission of their individual biographies (in place of a detailed description of "the history of the village," Martinů instead characterized them, in short, through some type of "typical" situation) but particularly the omission of one of the main and omnipresent themes of the motivically expansive novel - the Turkish subjugation of Crete. Martinů therefore reduced the extensive axis of time to an immediate explication of the drama from its unassuming beginning (the selection of main characters for the performance of the passion play), through the gradual self-identification of the chosen with their biblical roles, to the bloody climax. The greatest attention was given to the transformation of the main characters from common people to individuals with a capacity for self-pity on the one hand, and excommunication and murder on the other. 1. The theme of the cross - a flowing motive in sixths above a pedal point which makes its first appearance in the B 28 opening [see Sources] in Act I, Scene 1, after rehearsal number 13, as Priest Grigoris sings: "How can I become worthy to bear the terrible weight of the cross?" 2. The Kyrie eleison theme - a succession of four chords articulated by a fermata that concludes on a tonic six-four chord. It is heard for the first time in the B 28 opening in Act I, Scene 1, after rehearsal number 8, as Grigoris sings: "From today you are a new man." It is a theme of compassion, which is the central subject of the opera, but the official church and its principal representative, Priest Grigoris, make a claim to it as well. 3. The theme of selfless love - first appearance in Act III, Scene 4, two measures before rehearsal number 10, after Katerina's words: "[...] as if all the children in the world were mine." This expresses the transformation in the feeling of physical love for Manolios to a spiritual connection and a love for God. 4. The marriage theme - folk-like in character, utilizing augmented fourths, wild and unrestrained. This theme characterizes the profane world of the village of Lycovrissi. It resounds for the first time in the overture of the first act of B 28 and in the introduction to the first scene. This theme is also the basis for the entrancing flute improvisations of the shepherd Nikolio, which entices Manolios's betrothed Lenio. It is also used very expressively at the opening of the fourth act for the wedding of Lenio and Nikolio. Martinů uses the first two motives for the expression of intertextual correlations; I have already mentioned the "official" and "unofficial" use of the Kyrie eleison motive. Martinů uses the theme of the cross quite expressively, which relates, among other things, the confusion in the mind of the not yet reborn shepherd Manolios, who is filled with both the desire for a woman and eschatological pathos. Throughout the opera, characteristic instrumentations play an important role in depicting the rich and many-layered semantic fields as certain instrumental groups are assigned to individual characters or character groups (wind instruments for Grigoris, strings for Manolios, an accordion for Katerina, percussion for Ladas, etc.). The second (Zürich) version of The Greek Passion was newly composed in its entirety, for the most part in passages with identical text (in some of these, the music retains a certain affinity with the music of the first version in the sense of a "matrix"). Finally, there are some rare passages in the second version that were reused without any modification. There is a basic difference between the two versions, particularly with respect to their musical structure, dramaturgy, inner logic of development, and presentation of the leading characters. The music of the first version is far more dramatic and the use of characteristic motives more consequential. In the first version, Martinů oriented himself strongly towards the operas of Monteverdi, especially in the recitatives. It can be said that the first version contains a specific kind of recitative that shows great melodic quality. Martinů disassembled the original manuscript of the first version, written just like the second one on loose, transparent sheets (with the mark Circle Blue Print), into many individual parts. He used only a few sheets for the second version (marking them with a new page number). He gave many of these pages to either friends or institutions while keeping some himself. It was therefore necessary to reassemble the first version from many different sources (see Sources). Nevertheless, the correspondence between my reconstruction and Martinů's original score of the first version is reliable: in addition to a number of paleographical arguments, it is also corroborated by a complete, hand-written piano score of the first version, which Universal Editions in Vienna commissioned in 1957 (arranged by Karl-Heinz Füssl). To this day the piano score is kept in the archives of Universal Editions, Vienna and is identical with my reconstructed full score. There exist two additional versions of the beginning of the first act that are now kept in the Paul Sacher Foundation in Basel. (In my Catalogue of Martinů manuscripts in the Paul Sacher Foundation Basel, published in the Schweizer Jahrbuch für Musikwissenschaft, N.F., 13/14, Paul Haupt Berne, 1994, these versions are listed with the reference numbers B 29 and B 30.) B 29 contains the first two scenes of the first act, lending itself ideally as a variant to the first version, presenting the leading actors much more comprehensively and plastically. From a letter written to Šafránek on September 21, 1957, we can see that Martinů eventually withdraw the B 29 version only because of its longer duration (the difference from the B 28 opening is only by a few minutes). Hence, he considered version B 29 as definitive and was not at all discontented with it. The editors consider the B 29 version of the two first scenes as definitely more consequent and dramatic than the opening scenes of the B 28 version. We are therefore publishing both versions, and are leaving the decision as to which one to choose to the respective producer. The textual revision of the first version was made by Sir Charles Mackerras. This was a necessary measure since the opera has never been performed or published, and the original English text contains many inconsistencies and grammatical errors and in some places is hardly comprehensible. Explicit grammatical errors were corrected without commentary. In cases where errors were not self-evident, solutions were offered as an ossia, and the original text was preserved. In this way a free choice between the original and the revised version is offered, as well as the possibility to create a new variant. Two complete versions of The Greek Passion exist (from 1957 and 1959) as well as two partial versions of Act I (1956-57) and several different versions of the libretto. The reference numbers are from Aleš Březina: Die Martinů-Manuskripte in der Paul Sacher Stiftung Basel, in: Joseph Willimann (ed.) Schweizer Jahrbuch für Musikwissenschaft, N.F., 13/14, Paul Haupt Berne, 1994, p.157-274. On the Loss of our Colleagues . . .
Jaroslav Mráček, well known as an advocate of Czech music and who served on the faculty of San Diego State University for twenty-six years, died in his sleep Tuesday, May 4, at the Alvarado Convalescent and Rehabilitation Hospital. He was seventy years old. Dr. Mráček was born in Montreal, Quebec to Czech parents. He grew up in Toronto, Ontario, earning a bachelor's degree in music in 1951 from the University of Toronto. After seven years as a high school music teacher in Ottawa, Dr. Mráček attended the Indiana University School of Music on a Canada Council Fellowship. He received a doctoral degree in musicology, then joined the faculty of San Diego State University in 1965. During his SDSU career, he was twice honored as "Outstanding Professor from the College of Professional Studies." In 1980 Dr. Mráček and his family lived for a year in Marburg, Germany, and visited France, Italy, Austria, and Czechoslovakia during their stay. In 1984, for the Centennial of Bedřich Smetana's death, Dr. Mráček organized a music festival and conference in San Diego which Ivo Feierabend, professor emeritus in political science at SDSU, described as " . . . a major achievement for the university, something no-one had thought of before." For the scholars of Czech music who attended from around the world, it would prove to be an even more momentous occasion. I'm looking at the back of my Smetana Centennial Program. Fourteen faces look back at me, including my own. There are several younger faces, a rakish-looking Alan Houtchens, an intense boyish Charles Brewer, and a stylish Jarmila Gabrielová. There are Jaroslav Jiránek, John Yoell, and Karel Husa. And those who have departed this world: John Clapham, Edith Vogl Garrett, Jarmil Burghauser, and most recently Zdeňka Pilková and Jaroslav Mráček. Flipping through the program now, from front to back one sees a beautifully planned event, dozens of lectures and concerts, including the San Diego Symphony playing Má vlast. Three articles are among the offerings -- one by John Clapham, and two of the earliest publications of Beckerman and Houtchens -- as well as lectures by John Tyrrell, Joseph Začek, Robert Stevenson, and many, many more. This was the event that started the modern field of Czech music, and Jaroslav Mráček was its architect. Those who have come upon the scene more recently might wonder why this is so, and how it all came to be. First, it must be recognized that the concert/festivals which have followed -- on Dvořák, Janáček and Martinů -- were all modeled on the Smetana Centennial (the Washington University Janáček conference in 1988 was unabashedly a copy of it). Second, it was at this meeting that the first proposals were made for the Czech (or Czechoslovak, or Czech and Slovak) Music Society. Though all the participants believed in their small field, there was strength in numbers, and finding out that other people really cared about one's work was deeply meaningful. Third, Mráček was able to use his connections to bring over several Czech scholars at a time when such things were terribly difficult to do. Gabrielová, Pilková, Burghauser, and Jiránek were the guests, and their contribution was memorable. Finally, Mráček was able to cobble together an impressive amount of support, from both public and private sources. There were grants from the NEH and British Council, San Diego State University and the L.J. Skaggs Foundation, and, critical to the success of the whole operation, the creation of the Friends of Czechoslovak Music. This meeting was an inspiration to many of us, as was its creator. Mráček was living proof that one could have a career as a student of Czech and Slovak music, and make a difference in the lives of so many younger scholars. At this point, it would be hard to find anyone in the larger field of Czech and Slovak music who did not benefit in some way from Mráček's work in general, and the Smetana Centennial Conference in particular. Without it, who knows where we would be? With it, and with his example, we were all enriched. On behalf of our society and our field I mourn the loss of Jaroslav Mráček and offer deep and sincere condolences to his family. If at any point we take pride in our work and our specialization, we owe him thanks. Anyone who knew Zdeňka Pilkovás kind, gentle and always cheerful character hardly ever suspected the many hardships and obstacles she had had to contend with at times during her extraordinarily active career. It was only after the collapse of communism that she could truly relax and enjoy both her work, as well as her numerous grandchildren and the freedom to travel - an enjoyment sadly cut short by her brief but fatal illness. She was born into a well-to-do family. Her father was a high-ranking finance official - a fact that counted against her after the communist takeover of Czechoslovakia. Nonetheless, in 1950 she was enrolled at the Philosophy Faculty of Prague University. It was Jiří Pilka who influenced her in the choice of musicology as her subject to which she added a second, ethnography. She and Jiří met in 1948, the year of the communist coup, when they both were members of a group of young people around Pavel Křivský, striving to uphold some of the philosophical and ethical values in a crumbling world. They married a year later. Jiří was subsequently prosecuted for his links with Křivský who was accused of treason and tried in one of the famous staged trials of the early 50s, and after serving a six-month prison sentence was reduced to menial jobs. By 1964, when Zdeňka joined the Academy of Sciences, she had two daughters to look after, a PhD to study for (dissertation: The Music Branch of the Umělecká Beseda and Its Development and Activity in Czech Musical Life 1863 - 1963, 1968), more study for the higher CSc diploma, plus her life-long interest - dance. She had studied piano and dance since her childhood. At the age of eight she joined the school of Jarmila Jerabková - a pupil of Isadora Duncan - and remained a member of her group until a year before her death. In the 50s she also joined the dance group of Eva Kroeschlová, which specialized in genuine folk dancing. Both groups rehearsed twice a week, the latter touring not only at home but also abroad in Germany and France. 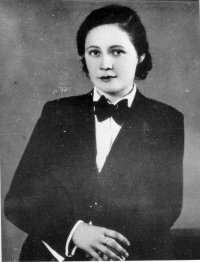 When Zdeňka got older, she contributed to the groups work as a dramaturg, organizer and interpreter. Her knowledge of languages was prodigious. So was her grasp of 18th-century history and culture. Her specialization was, of course, Czech music of that period but to listen to her lectures on, for instance, the baroque period in general, was to marvel at the breadth of her knowledge and the crispness of her style. She never succumbed to the florid (though often vacuous) style characteristic of intellectuals in the post-1968 normalization period which followed on the heels of the Warsaw Pact invasion of Czechoslovakia. Her vast output of publications is a pleasure to read. She visited the United States three times to give lectures at a number of universities where she also spoke on later Czech composers (Smetana in 1984 at the composers centennial in San Diego, Janáček in 1988 in St. Louis, Missouri), was a regular visitor/contributor to conferences and symposia in Germany, Poland, France, London (the 1991 Mozart Conference and The Dvořák Society for Czech and Slovak Music) and elsewhere, she occasionally lectured at Charles University in Prague and at other universities at home and abroad (USA, The Netherlands, Saarbruecken), and she made hundreds of radio programmes and other musical and dance presentations (some of them with Jiří). In the 70s and 80s she was vice-chair of the Czech Society for Early Music. She co-edited three volumes for the Henle Verlag of Munich with Sonja Gerlach (Czech Violin Sonatas I and II and Dvořák: Sonatina in G, Op. 100) and contributed - in her own hand - scores of Czech 18th-century symphonies (J.J. Neruda, A. Kammel and J. Mysliveček) to The Symphony 1720 - 1840 project of Garland Publishing, New York. She was particularly pleased with her chapter on classicism in Music in Czech History (Prague 1983 and, again, 1989). She worked full-time at the Academy in Prague until 1991. Afterwards she continued to work there on specific projects until a few months before her death. She leaves a meticulously kept archive of research notes on which her more than sixty studies, most of them published abroad, have been based and which would have yielded many more publications had she lived. Short papers were also announced by Dr. M.K. Černý (Prague), Dr. Markéta Hallová (Museum of Czech Music, Prague), Jan Kachlík (Institute of Musicology, Academy of Sciences, Prague), Věroslav Němec (Editio Praga, Prague), Prof. Ivan Vojtěch (Institute of Musicology, Academy of Sciences, Prague), and Dr. Tomislav Volek (Institute of Musicology, Academy of Sciences, Prague). The conference was held on Friday, May 28 in Zdeňka Podhajská Hall (Bohuslav Martinů Foundation and Study Center, nám. Kinských 3, 150 00 Prague 5 - Smíchov) from 9:30 a.m. - 12:00 noon and from 2:00 - 6:00 p.m. On Saturday, May 29, participants attended the colloquium on the life and works of Bohuslav Martinů. The colloquium focused on the composer's early period. A reception and continuation of discussions were held from 3:00 - 5:00 p.m. at the Antonín Dvořák Museum, Prague (Ke Karlovu 20, 120 00 Prague 2 - Nové Město). Since their arrival in Europe at the beginning of the eleventh century, the "Gypsies" have stimulated and fascinated the European imagination, but have also always been perceived as "other" and marginalized. At the end of the millennium, after centuries of discrimination and persecution, Romanies/"Gypsies" remain the least understood and least popular ethnic minority group in most European countries. Yet very few people have first-hand knowledge of them. This conference seeks to address the questions raised by the ambivalent encounter of the "Gypsies" with European cultures. It aims both to re-examine Gadjo constructions of Romanies/"Gypsies" in the Orientalist style over the centuries and to appraise and compare the contributions made by Romanies themselves to European cultures. We invite contributions in the fields of linguistics, cultural and media studies (particularly film and music), literary studies, social history, and anthropology. The language of the conference will be English. The organizers plan to publish a selection of the papers. Offers of papers by Romanies and papers relating to Eastern Europe are particularly welcome. Moving towards Europe in Post-Communist States? The research students of the School of Slavonic and East European Studies (University of London), with the support of the School's academic staff, are organizing an interdisciplinary conference which, coinciding with a new era of expansion for the European Union, aims to contribute to a wide-ranging analysis of the competing legacies the post-communist states must contend with, and of the relative weight their traditions and aspirations carry in each of these countries. POLITICS: East, West, or Third Way? ECONOMICS: Macroeconomic stabilization and the "euro"
Pan-European Culture: Shared Heritage or Wishful Construct? Can Eastern Europe Turn its Back on the Recent Past? Royal Holloway (London) will be hosting the year 2000 biennial conference on 19th-century music, at Egham from Thursday, June 29 to Sunday, July 2, 2000. Any queries at this stage should be addressed to David Charlton <d.charlton@rhbnc.ac.uk>. The Department of Music of Royal Holloway College (University of London) will join the Centre for the Study of Central Europe, School of Slavonic and East European Studies (University of London) for a conference titled -- A Tale of Three Cities: Janáček's Brno Between Vienna and Prague, Friday, October 22, 1999 - Sunday, October 24, 1999. For additional information, visit <http://www.sun.rhbnc.ac.uk/Music/Conferences/99-a-ttc.html>. The American Association for the Advancement of Slavic Studies will hold a convention in St. Louis, Missouri (November 18-21, 1999). For topics to be covered during the various sessions and information on registration, visit <http://www.fas.harvard.edu/~aaass/>. Ralph Locke (Eastman School of Music) has published an essay entitled "Musicology and/as Social Concern: Imagining the Relevant Musicologist," in Rethinking Music, ed., Nicholas Cook and Mark Everist (Oxford: Oxford University Press, 1999), pp. 499-530. The volume's editors describe this essay (in their Introduction) as "an extraordinarily wide-ranging and thoughtful account." Among the issues discussed are the ways in which categories of "nation" have influenced music-historical writing (for better and worse). On January 14, 1999, Stephen Simon led the Washington Chamber Symphony in a performance of Martinů's Concerto for Harpsichord and Small Orchestra in Terrace Theater, the chamber music hall of Kennedy Center. His interpretation paid homage to the work's roots in the baroque keyboard tradition as well as to its kinship to the music of Martinů's French contemporaries Ravel and Poulenc. The soloist, Elaine Comparone, played with expert assurance and a clear devotion to the music of Martinů and the Concerto. She enhanced the subtleties of Martinů's athletic line with discreet rubato and nuance; the logical sense of the work was leavened with a spark of impulsiveness, of exuberance. She played a harpsichord that is a present-day reproduction of a Blanchet, a powerful instrument which provided an excellent balance with the orchestra and the accompanying piano and was well suited to the acoustics of the hall. The Concerto was preceded by a warm, expansive interpretation of William Boyce's Fifth Symphony, which seemed to put the audience in a relaxed, receptive mood. It was followed by Beethoven's Symphony No. 4, played with melodic grace and a keen appreciation for the subtleties of its moods and orchestration. As conductor at the Handel Festival in Halle and the Handel Festival in the Washington area, Stephen Simon has presented many fine performances of major works of the Baroque era. Thus, it is not surprising that he brought a bit of Handelian breadth and splendor to the Concerto, and that its extensive sequences were shimmering kaleidoscopes of timbres as well as buttresses for the structure of the work. Through years of providing musicologically interesting, enjoyable concerts, and reaching out to music lovers in the Washington area, he has earned the trust and support of a loyal audience -- which certainly contributed much to the success of the Concerto in this performance. The Cezanne Trio, an adventurous chamber music group that is exploring the Czech repertoire, performed at the Czech Embassy in Washington, DC on February 16, 1999. Their performance style and musicianship seem to be subtly changing as a result of their expanding interests. In this performance, they demonstrated a commendable eagerness to discover and perform Czech compositions from the late Romantic era. The concert opened with Martinů's Duo for Violin and Violoncello. Violinist Mayumi Pawel and cellist Douglas Wolters' sense of the sinewy, lyrical line made a delightful impression. Through their performance, one could glimpse the vigorous, playful personality of the composer. Pawel and pianist Carl Banner then performed selections from Smetana's From My Homeland, an evocative work which depicts the web of relationships, experiences, and love that formed the composer's concept of what is uniquely Czech. Since the work presents a wide range of emotions, it is also an excellent vehicle for conveying a performer's own experience and outlook on life. Pawel and Banner demonstrated that this appealing work can be most enjoyable to American audiences. The most noteworthy discovery of the evening was Vítězslav Novák's Trio quasi una ballata, a work which balances dramatic vitality with grave dignity. The trio drew upon Czech recordings for a better understanding of Novák's style. As a result, they achieved a radiant texture with rich, vibrant sound and shafts of light, using Novák's expressive chromatic inflection and figuration as clues to interpretation. The majority of those in the audience were American. Banner's animated description of the remarkable features of the work and of similar compositions by Novák's contemporaries contributed significantly to the enthusiastic audience response. Guest artists Osman Kivrak, viola, and Kim Miller, violin, have frequently performed together; their collaboration to provide a solid nucleus of inner voices enabled a cohesive, mature rendition of Dvořák's beloved Piano Quintet in A, op. 81. The interpretation had an American subjectivity, for Dvořák's influence on American music is so pervasive that it is difficult for Americans to view his work without reference to that influence. Nevertheless, the ensemble made a deliberate effort to perform the work as Czech chamber musicians would, as a unified group rather than an association of individuals. The insights gained from performing Novák enhanced the interpretation of this work as well. Dvořák was a violist, and playing his viola parts can yield remarkable insights into his musicality and the man himself. As a composer and highly experienced performer, Kivrak was able to convey this performer's view eloquently, with refined, sensitive musicianship. He brought to mind Dvořák's somber reflectiveness, the depths of his character, and above all, his love of beautiful sound. His interpretation inspired the other players, unfolding to produce a memorable Dumky. On March 10, 1999 Czech pianist Radoslav Kvapil returned to Chicago to give a recital at Roosevelt University which was of unusual musicological interest. Much of the information in this review derives from interviews with this extraordinary performer. As part of a lifelong effort to preserve the Czech piano repertory and give it international exposure on a professional level, Kvapil established the definitive performance practice for Dvořák's piano works and for the original version of the Dvořák piano concerto. Kvapil recently used Dvořák's own Bösendorfer piano to record the works that Dvořák wrote in 1880, shortly after acquiring the instrument. In searching for the most appropriate performance practice for these subtle, transparent works, Kvapil discovered that their style must have been strongly influenced by the mechanical characteristics of that piano -- for example, short reverberation after the note was struck, its una corda pedal, and the disparity of responsiveness between the upper and lower registers of the keyboard. Perhaps even more remarkable, he found that the scores of these works seem stylistically almost indistinguishable from certain Chopin works, and in addition Dvořák's Mazurka (op. 56, no. 2) strongly resembles Chopin's Mazurka (op.56, no.2)! In this recital, Kvapil provided a fascinating perspective of the results of this historical investigation. He performed a sequence which included these works by Dvořák and lesser-known works by Chopin without indicating composers or titles. By using a performance style which may have approximated the one that Dvořák had in mind, he clearly showed the stylistic correspondences among these works, and convincingly recreated the moment at which Dvořák had been influenced by Chopin. In this context, Kvapil was able to use his remarkable arsenal of interpretative strategies to convey the fluctuating harmonic colors and tender, almost tentative melodic lines with unforgettable, idyllic beauty. He then played selections from Chopin's Etudes op. 25, continuing to demonstrate the wide range of interpretative possibilities for this composer's works. In the past, Kvapil has played the entire set of twenty-four etudes in concert as a single massive work, in which each etude seemed to begin as the psychological culmination of the ones preceding it. In this recital, he began with the familiar Etude no. 1 of op. 25, supporting an impression of apparently effortless, impulsive lyric flight with a powerful, accurate technique which few pianists can attain. And this technique enabled him to convey the psychological force of the etudes which followed with overwhelming pianistic effect. The last three etudes were written when Chopin was in exile, grieving for the failure of the Polish revolt and suffering from an illness that would prove fatal. Under Kvapil's painstaking investigation, these etudes revealed themselves as gigantic, heroic works which seem to portray Chopin's own struggle with fate. Kvapil points out that internal evidence seems to indicate that Etude no. 11, the so-called "Winter Wind," depicts the Polish revolution; with characteristic attention to the fine details of the emotional aspect of the moment, Kvapil gave each note of the final chords a separate intensity in order to achieve the dark color of Chopin's imagination, convincingly expressing the composer's grief over the failure of the revolution. And this grief was deliberately intensified in Etude no. 12, producing shattering effects which, in the end, seemed to parallel those of Dante's Paradise Lost. From Kvapil's performance, it was immediately obvious that Liszt, Smetana, Novák, and many others who followed Chopin had understood the psychological impact and the greatness of these etudes. Kvapil concluded the program with Part 1 of Smetana's Czech Dances and the Skočna from Part 2, playing Slepička from Part 2 as an encore. Although the technical brilliance of these dances shows Chopin's influence, Kvapil conceded that the connection might have been more obvious to the audience if he had paired conventional Chopin works with Smetana's Three Poetic Polkas, which are closer to the sweet, ornamented "bel canto" style that most of us associate with Chopin's music -- but this choice would have made a less interesting program. As always, Kvapil played sensitively, brilliantly, channeling his heroic intensity into thoughtfully nuanced poetic forms and dramatic frames. One's awareness of the sophistication of his performance practice with respect to atmosphere, coloration, phrasing, nuance and rhythmic proportion increases with additional hearings of his performances. His interpretative style for Czech works produces a precise, carefully considered unity between faithful adherence to the letter and spirit of the work, and portrayal of the psychological, perceptive, dramatic content which is indispensable to this repertory; it is in many cases a rare survival of a precious, endangered performance practice. We are fortunate that Kvapil continues this vital work. The Martinů String Quartet performed at the Czech Embassy on March 22, 1999. These performers are most fortunate. Thoroughly trained in the Central European style which Czechs have lovingly preserved and enhanced, they have also gained experience in international competitions and have profited from contacts with internationally acclaimed artists such as Nathan Milstein and Bernard Greenhouse. In addition, they are young enough to discover fresh delight in each performance. The March program opened with Haydn's String Quartet in g minor, op. 743, no. 3 (The Rider). This work displayed the ensemble's mastery of the Czech tradition to advantage. They played with a warm, rich sound, elegant phrasing, and scrupulous attention to nuance and dramatic effect. A notable sign of their expertise was the seamless, fluent handling of the transitions between musical sections. Polished, courtly decorum was leavened with dashes of wit, reflecting the often forgotten aristocratic atmosphere in which such works were first performed. In their performance of Janáček's first string quartet (Kreutzer Sonata), the ensemble not only showed a clear understanding of the composer's style and his historical significance, but also conveyed a passionate mood which matched well the association this work has with Tolstoy's short story -- the suspenseful, soaring line hovered on the edge of rapture and heartbreak. Here, attention to fine details gave the interpretation a clarity and sense of purpose which balanced the raw wildness and piercing sweetness of the music itself. The ensemble's interpretation of Schubert's String Quartet no. 13 in a minor, D. 804 was also most satisfying. First of all, the interpretation showed a rare appreciation for the violinistic nature of Schubert's chamber music style. The empathic cooperation of the ensemble, especially between second violinist Petr Matějak and violist Jan Jisa, was particularly effective for the style of developing variation which characterizes much of this work. The proportions and moods of the large form were admirably balanced, to a large measure because of Jitka Vlasánková's well-considered leadership. But most importantly, Schubert's noble, direct courage in the face of darkness was well depicted. It was most appropriate that the last movement of Dvořák's American Quartet was played as an encore. Its gleeful exuberance was most refreshing after the smoldering intensity of the Schubert work. Once again, a marvelous mood was solidly based on a highly responsible, well-considered interpretation -- an approach to musicianship which transcends virtuosity to convey human experience and perception. But this time, the interpretation seemed to reflect a dash of the Wild West, the pulse of Dvořák's beloved railroads, and the harmonium at Spillville, Iowa. ...The publicity photograph of this ensemble reveals something of its character. The group's enviable standard of interpretation and performance is undoubtedly due to its first violinist, Lubomír Hávlak. In the photograph, however, he remains modestly in the background, allowing the other performers to take the limelight. The concert was graced by the presence of František Smetana, one of the greatest of Czech cellists, who came from Richmond, Virginia to hear the ensemble and greet the performers. Smetana will return to his beloved Prague this summer where he will continue to transmit his wisdom to young Czech musicians. (Note: For additional information on the Martinů String Quartet, visit <http://w7.com/a_and_e/kwcms/martinu/bio.html>. May 6 Nationalism in Czech Music - Is it due for relabeling? On Friday, April 30, Brian Locke presented a paper titled "A Queen, a Castle, and a 'Beautiful Boy': Feminine Presence and Masculine Spaces in Novák's Karlštejn" at SUNY Stony Brook (New York). The premise of the paper was to examine the intersection of themes of nation and gender in Novák's opera, written during the turbulent years of the first world war. Excerpts from the opera were performed by: Gwendolyn Hillman, soprano (Královna Alžběta); Maksim Ivanov, baritone (Karel IV); Renee Cometa and Donna Locke, piano. - The Kaprálová Society has expanded its website to include a database devoted exclusively to women composers. This page may be accessed at <http://www.interlog.com/~hartl/Kapralova/DATABASE.htm>. The site also includes a link to Czech women composers under the category Women in Music Links. Composers included in the database were selected according to the following criteria: 1) must have been born prior to 1950; 2) are listed in Aaron Cohen's Encyclopedia of Women Composers; 3) their works have been recorded and are listed in the R.E.D. Classical 1999 Catalogue (i.e., their recordings should be commercially available). Links to other online resources for specific composers have also been provided. In addition, the Society's new webpage includes a selective discography (linked to online information on available recordings) as well as a number of links to resources for and about women composers. - Two reviews of the CDs of Kaprálová's music have been published recently in the UK -- Dr. Jan Smaczny's review appeared in the June issue of the BBC Music Magazine, and Greg Terian's review was included in the April issue of the newsletter of The Dvořák Society of Great Britain. - The Society will nominate Kaprálová's String Quartet, op. 8 and Ritornell, op. 25 for inclusion in the anthology of women composers (a project of the Macmillan Publishing Company). The 12-volume anthology entitled Women Composers: Music Through the Ages has been co-edited by Martha Furman Schleifer and Sylvia Glickman (of Hildegard Publishing) since 1993. Should the nomination be accepted, Kaprálová would be represented in the 20th-century volume, to be released in 2001. - On May 1, the Toronto address for the The Kaprálová Society was changed to: 57 Charles Street West, Suite 1812, Toronto, Ontario M5S 2X1. The Society no longer has a Prague address but has moved to Kaprálová's beloved village of Tři Studně. The Society's new address in the Czech Republic is now: Tři Studně 110, 592 04 Fryšava. In addition, the Society has a new e-mail address: ksociety@interlog.com. ....Alliance Publications, based in Fish Creek, Wisconsin, specializes in Czech and Slovak music and is a particularly profitable source for works by contemporary composers. Their catalog includes approximately 500 works from more than ninety composers, forty-five of which are Czech or Slovak, and emphasizes educational / professional music, liturgical works, and Czech and Slovak classical and folk music. Entries for several of the composers contained in their catalog also include a short biography. Alliance Publications was founded by Joel Blahnik and Anita Smisek, two versatile advocates of Czech and Slovak music. The duo has also formed the Czech Music Alliance which conducts workshops and presentations at schools and universities, state and national conventions, churches and religious institutions throughout the United States. On February 11, 1999 the Czech Music Alliance sponsored a highly successful workshop at the Minnesota Music Educators Convention in Minneapolis titled "Music and Composers from the Czechoslovak Tradition." On February 13th, Mr. Blahnik conducted a two-hour workshop for the national German-Bohemian Society in New Ulm, Minnesota. The central theme for the workshop was Bohemia as the Heart of Europe with a secondary musical focus on the several centuries of German/Bohemian co-existence in "The Music of Bohemia - A Shared Tradition." The Czech Music Alliance also assists with performance tours for Czech musicians. Among their most recent efforts was the Midwest portion of pianist Radoslav Kvapil's annual tour in the United States. Alliance Publications is a source for Mr. Kvapil's CDs and also the five video tapes that profile him as Master Teacher using the works of Voříšek, Smetana, Dvořák, Janáček, Fibich and Martinů. In July 1999 the Alliance is helping sponsor Zdeněk Lukaš's trip to the United States for the premiere of his Messaggio (The Message) with the World Association of Symphonic Bands and Ensembles in San Luis Obispo, California. Fifteen American universities are also supporting the premiere. Plans for 2000 include a return tour by Kvapil as well as performances by Professor of Classical Guitar at Brno Conservatory and President of the Czech Classical Guitar Society, Vladislav Bláha. Joel Blahnik also serves as Music Director for the Czech International Music Camp for Youth in Horní Jelení. The Camp is now in its third year and emphasizes work with chamber orchestra, symphonic orchestra, symphonic band, harp, and piano. Mr. Blahnik is also a composer in his own right. A CD of his work Slava with the Czech Radio Orchestra has just been released. 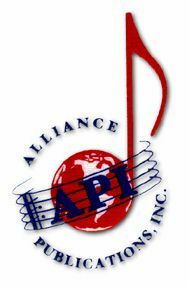 For additional information on Alliance Publications and the Czech Music Alliance, visit their website at <http://www.apimusic.org>. This homepage also contains links to a full list of works published. Focus on Composers . . .
One of the composers whose works are published by Alliance Publications is JAN VIČAR. Dr. Vičar is also Professor of Musicology at the Academy of Music and Performing Arts in Prague and at the Palacký University in Olomouc, Czech Republic. He studied musicology in Olomouc and composition in Brno and Prague. As a visiting scholar, he has worked at Humboldt University in Berlin, at universities in Rome and Bologna, Cambridge University, Indiana University at Bloomington, University of Pennsylvania in Philadelphia, and at the University of Chile in Santiago. Dr. Vičar worked as editor-in-chief of the Czech music journal Hudební rozhledy and has also written three books: Accordion (Prague 1981), Václav Trojan (Prague 1989), and Hudební kritika a popularizace hudby (Music Criticism and the Popularization of Music - Prague 1997), as well as several articles on 20th-century music. He also contributed to the international conference Musical Institutions and the Circulations of Music and Musicians in Bohemia and Moravia, 1600-1900 - the State of the Sources and the Current Literature (November 21-23, 1997). Several of the papers from this colloquium were published in vol. 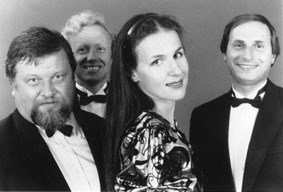 4 of Musicologica Olomucensia (Palacký University - Olomouc, 1998). Dr. Vičar has spent the last several months at the Department of Music, St. Cloud State University, St. Cloud, Minnesota (November 2, 1998 - June 30, 1999) as the recipient of a Fulbright/CIES scholar-in-residence award. His lecture circuit during this period has included eight universities throughout the United States where he has spoken on a wide range of interesting topics (listed below). (NOTE: Some of these lectures, as well as a list of Dr. Vičar's scholarly works and compositions, are available at <http://uweb.ucsb.edu/~jpearl/csms/vicar1.html>. Leoš Janáček and His "The Diary of One Who Vanished"
In addition to the above lectures, Dr. Vičar also spoke at St. Cloud State University on Nationalism in Music (National, Universal, and Individual in Czech Music); "Unknown" Czech Music Theory after 1945; Karel Janeček (1903-74), Czech Non-Schenkerian Music Theorist; Václav Trojan's Film Music; and Composing for Children's Choir. From this full lists of lectures, three were given at the Minnesota Music Theory Consortium and American Composer's Forum (April 23, 1999). In addition, Dr. Vičar presented a paper Echoes of Czech Music in America at the SVU conference Czech and Slovak America: Quo Vadis? in Minneapolis (April 24-26, 1999) (see Newsletter II/3 - Fall 1998). Dr. Vičar's new works (Water, Water Mine, General McCook, and Walking Whales in Washington), as well as several older compositions (The Instructions of Šuruppak, Butterflies, and Whither Sails My Paper Boat) were presented altogether a total of twenty-two times by soloists, choirs, and brass bands in Minnesota and Nebraska from March through May 1999. IN PERFORMANCE . . . The concert featured Zdeněk Fibich's Missa brevis, op. 21, completed in 1885. Also included on the program were Parasti mensam by Leopold Mozart, Lauda Sion by Jan Piotr Habermann, and Pange Lingua by Pál Esterházy. St. Joseph's is an old German ethnic parish which maintains the tradition of the orchestral Mass. The St. Joseph Musical Society, a non-profit support organization for the music program at St. Joseph's, also operates St. Joseph's Press, which expects eventually to publish a performing edition of Fibich's Missa brevis. The Landestheater in Innsbruck will be the site of the next performance of Benda's Ariadne auf Naxos and Medea by La Petite Bande, a baroque orchestra founded in 1972 by Sigiswald Kuijken for the initial purpose of recording Lully's Le Bourgeois Gentilhomme. The group has also presented Benda's melodramas in Leuven (April 21), Brussels (April 22), Amsterdam (May 1), and Schwetzingen, Germany (May 2). A television performance is in the planning stages for August 17-19. Additional information regarding these concerts and La Petite Bande may be accessed through the orchestra's homepage at <http://www.ping.be/lapetitebande/calend_e.htm>. All performances begin at 8:00 p.m. Concerts will be held in the Rudolfinum, Smetana Hall, the State Opera, and Žofín Hall. Czech composers represented include Johann Nepomuk Hummel (Piano Concerto in b minor - September 16), Vítězslav Novák (O věčné touze - September 17), Josef Bohač (Malá symfonie [Czech premiere] - September 18), Janáček (Suite from the opera Výlety pana Broučka - September 21), Josef Suk (Fantasy in g minor for violin - September 21), and Dvořák (Cello Concerto in b minor - September 26). The full program for the festival and lists of performers featured in each concert can be found at <http://www.pragueautumn.cz/english/index.htm>. Visit the website Musical Events in the Czech Republic 1999 <http://www.musica.cz/events/> compiled by the Czech Music Information Center. This site contains links to a wide variety of categories, including festivals and concerts of classical, folk, sacred, and popular music; courses for performers and composers; competitions; and musicological conferences. J.S. Zámečník (1872-1953) was one of the most prolific composers for silent film. After several years of advanced musical education, he traveled from his native Cleveland to Prague, where he studied for two years with Dvořák (1896 and 1897). Zámečník became director and house composer for the Hippodrome Theater in Cleveland when it opened in 1907. As the vaudeville shows at the Hippodrome were replaced by motion pictures, he was among the first wave of composers to routinely write new music for films instead of borrowing from the classics. Zámečník's works reflect his opinion that film music was an artistic genre that could surpass the music of opera or ballet. The pieces date from 1913 through 1924, and are not just curiosities from a forgotten genre of music, but stand easily among the masterpieces of salon orchestra literature. The music on this recording was not intended for any specific film . It was published for general use by theater music directors and cue sheet compilers to use when compiling new scores. This was the most common form of silent film score, but to my knowledge this type of music has not been available in a modern recording before (although there are several fine recordings of silent film scores for specific movies). The Mont Alto Motion Picture Orchestra has been compiling and performing silent film scores in live performances since 1994, and has recorded scores for three Kino Video releases -- The Whispering Chorus, Cobra, and Fatty and Mabel Adrift; and the Milestone/Timeline release Amarilly of Clothesline Alley. Mont Alto is a five-piece orchestra consisting of violin, cello, piano, clarinet, and trumpet. "The Mont Alto Motion Picture Orchestra made a wonderful impression on me when I heard it in a live performance, and this little group of five marvelous virtuosos sounds equally wonderful on this CD. Click here to access a cumulative bibliography of recently published works, works in progress, notices of courses and lectures, and sources that scholars have found helpful in their own research on Czech and Slovak music. The bibliography is divided into several categories including books and scores; articles; lectures; recordings; courses, seminars, and workshops; and works in progress. The list is further subdivided by composer and/or historical period. Recent additions are indicated with an asterisk (*). Although the newsletter is published only three times per year, additions to the bibliography are made at the time information is received. The bibliography may also be accessed directly at <http://uweb.ucsb.edu/~jpearl/csms/csmsbiblio.html>. Suggestions for additional entries are welcome. Please send your contributions to jamabary@msn.com. DISCLAIMER: Views and opinions expressed in this newsletter are those of individual contributors and do not necessarily reflect the views of the Czech and Slovak Music Society.